Under certain circumstances universities and other institutions can obtain a small MABR lab unit to carry out research into the effectiveness of MABR technology. OxyMem work closely with a number wide number of University and Commercial research groups through out the world. This work is focused on increasing the understanding of the attachment growth and detachment of Biofilm grown on a gas permeable substrate. 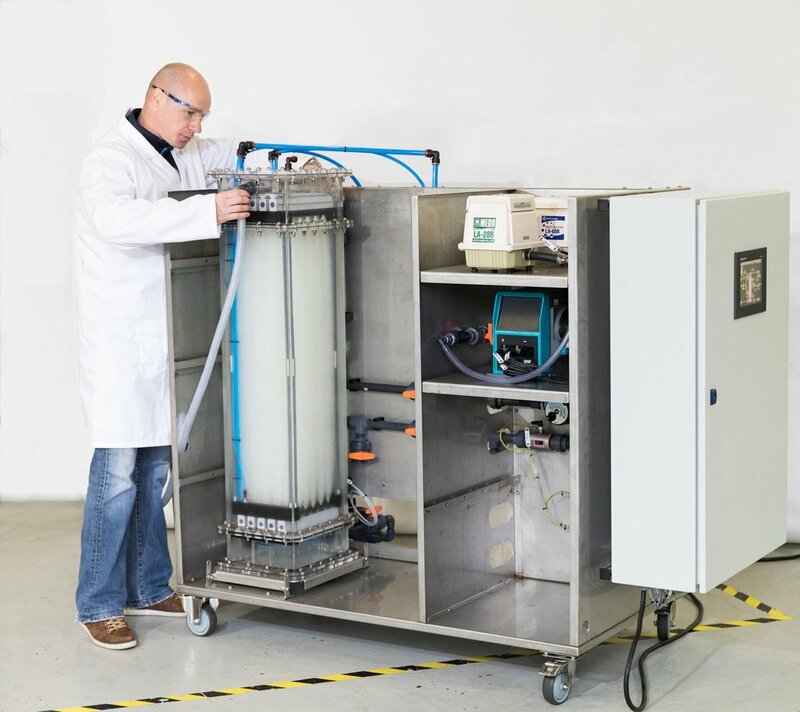 OxyMem can offer a fully operational 60 Litre Lab reactor that is available for purchase. This can be used for fundamental research, as well as treatability studies to identify suitable pre and post treatment options, optimal operating conditions and loading rates. If you would like to apply for an OxyLab please complete the following form below as best as you can.